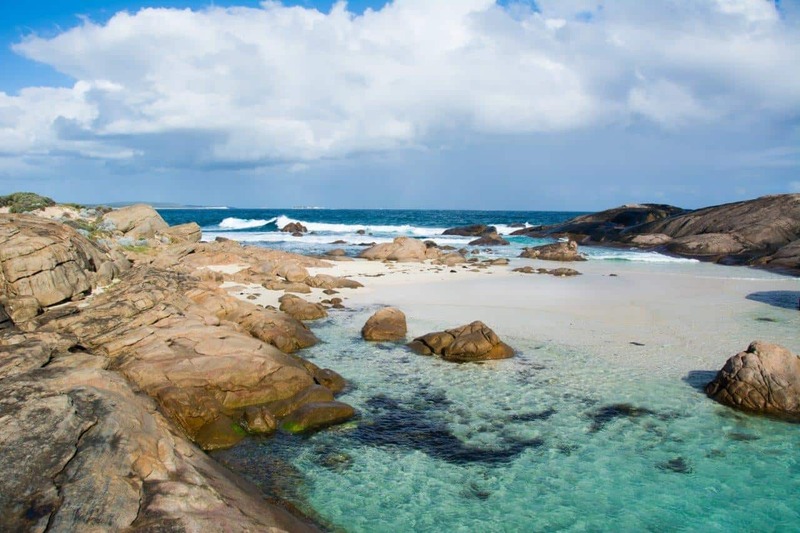 The south west of WA has some of the most stunning country Australia has to offer. 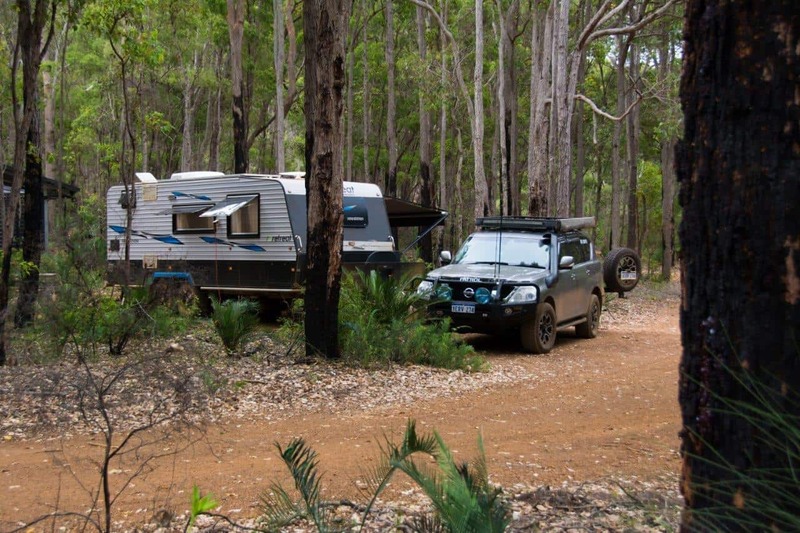 From pristine Karri and Jarrah forests through to world class beaches, local produce, caves and stunning rivers there’s something for everyone, and now you can camp to your hearts content! 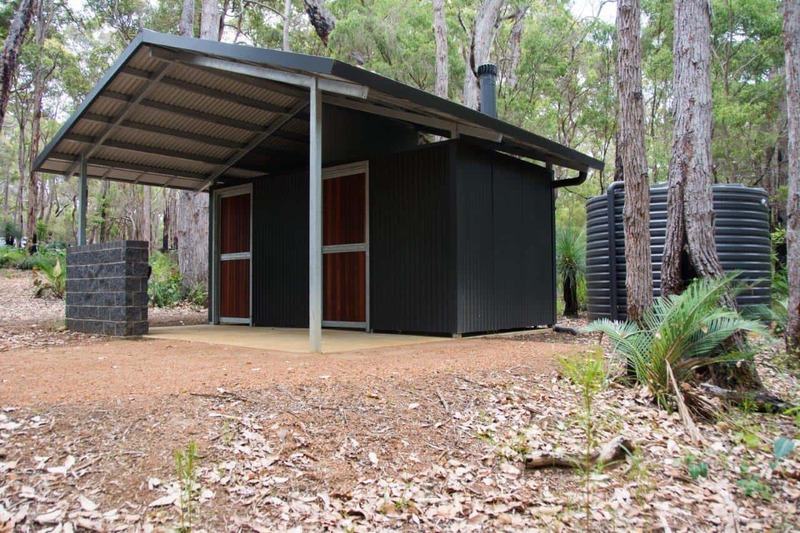 The DPAW (Department of Parks and Wildlife) have just completed their newest camp ground, called Jarrahdene, and its spectacular. 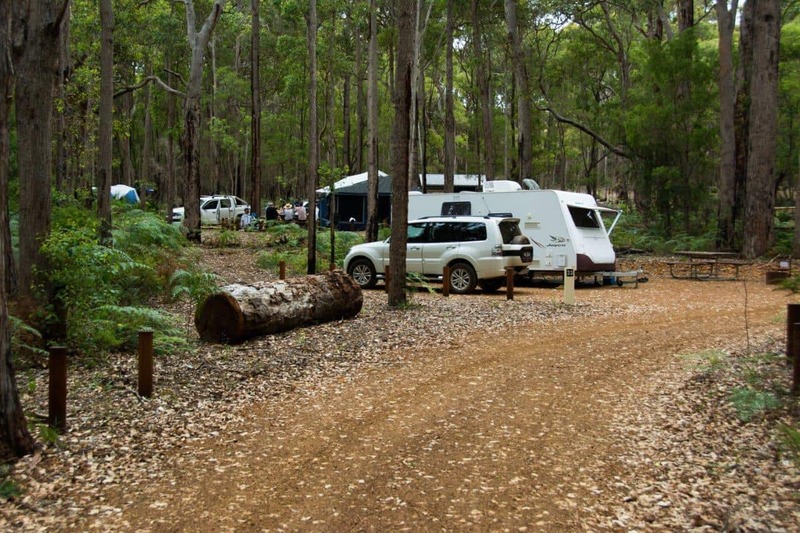 The camp sites smack bang in the middle of a brilliant forest, and has a lot going for it. 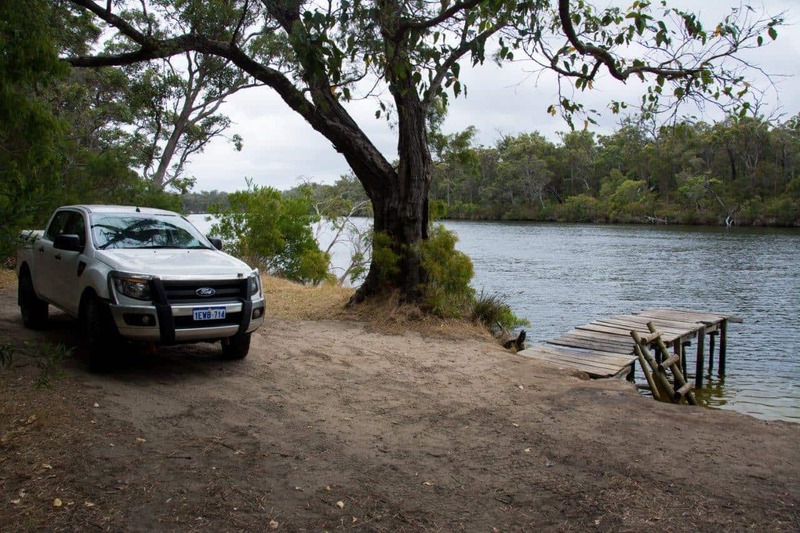 This camp ground is included in 30 unbelievable camp sites in WA. 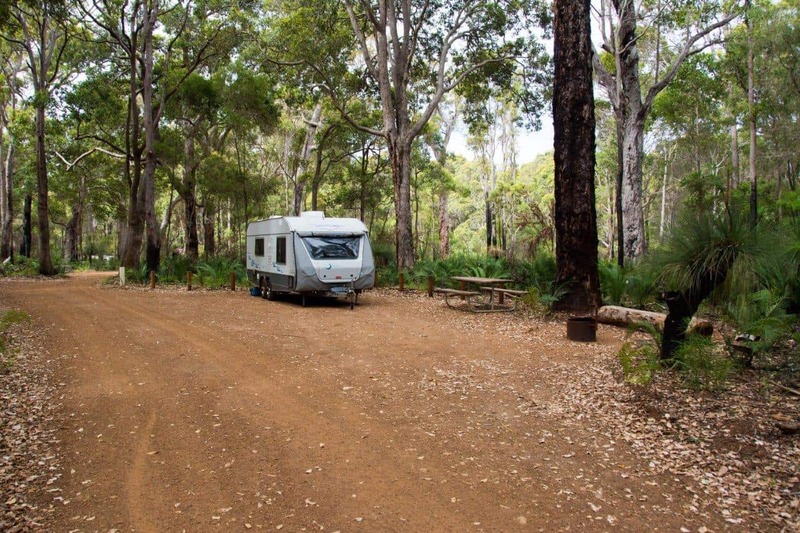 You’ll find Jarrahdene Camp grounds just off Caves Road, roughly half way between Margaret River and Hamelin Bay. 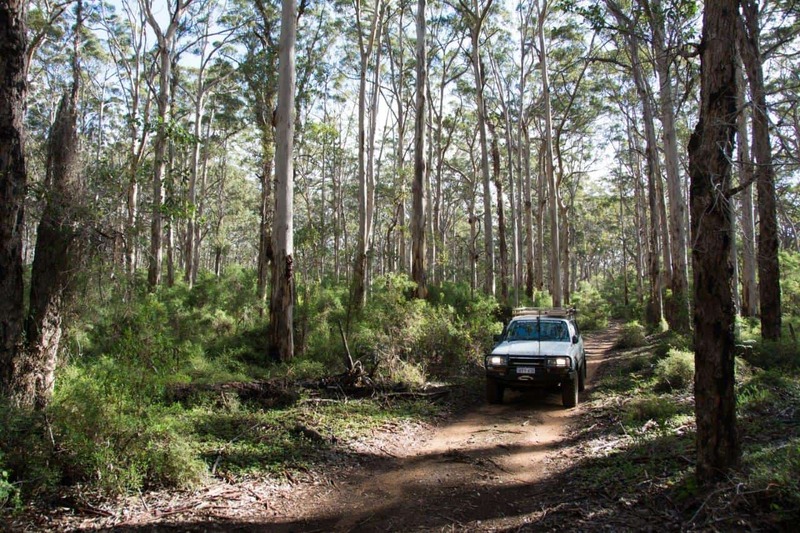 It’s off Jarrahdene road, and is set back far enough from Caves road that you can’t hear even the faintest vehicle activity. From Jarrahdene, its 23km to Margaret River, 26km to Prevelly, 36km to Gracetown, 68km to Dunsborough, 72km to Busselton, 16km to Hamelin Bay and 26km to Augusta. It’s right in the middle of everything you’d want to explore in the south west, making it the perfect base for a weekend, or even longer if you please! What are the sites like? 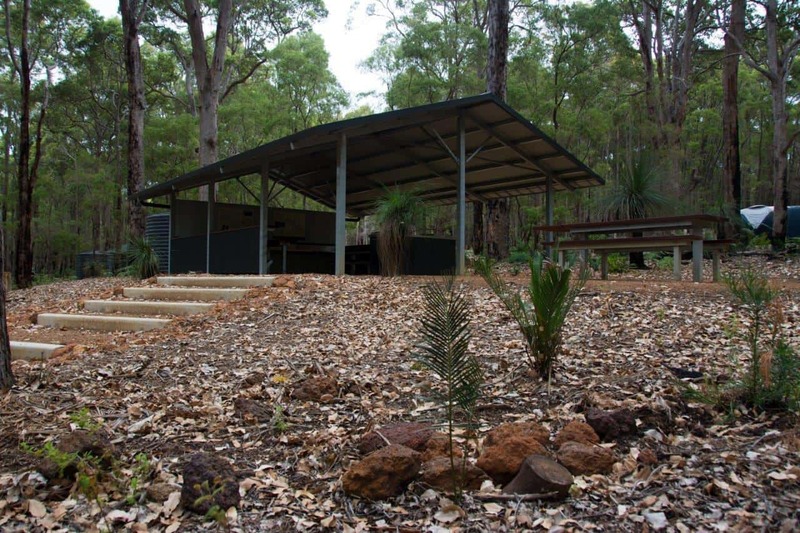 A massive, massive credit goes out to the DPAW for their design and building of the camp sites at Jarrahdene. There are 36 sites, plus a big group site (for tours/school activities I assume!). All of these are gravel, and there are fantastic descriptions of their suitability on the DPAW website. 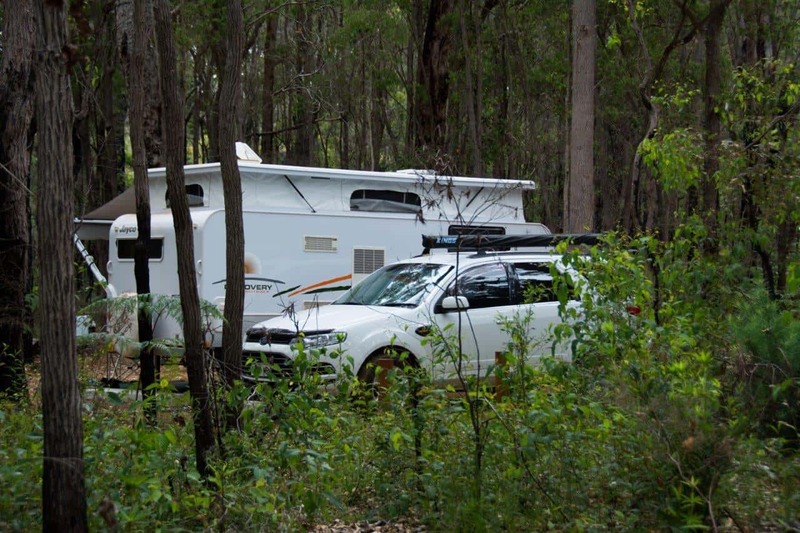 Some are suitable for everything including big caravans, whilst others are good only for smaller tents. Each site has its own fireplace (which can only be used in fire season!) and table/chairs. 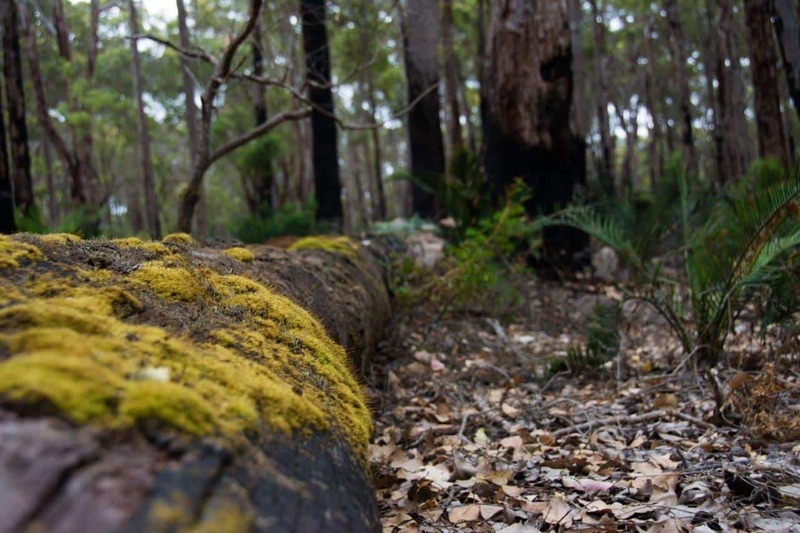 They are well spread apart, with most sites averaging 15 – 20 metres of bush between each one. You can see and hear your neighbours, but its a lot better than many caravan parks! 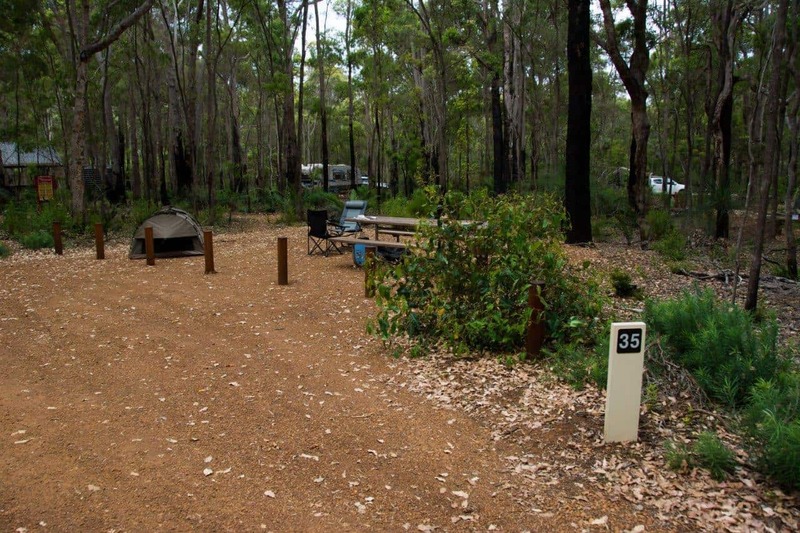 The amenities at Jarrahdene are about as good as they get for low cost camping. 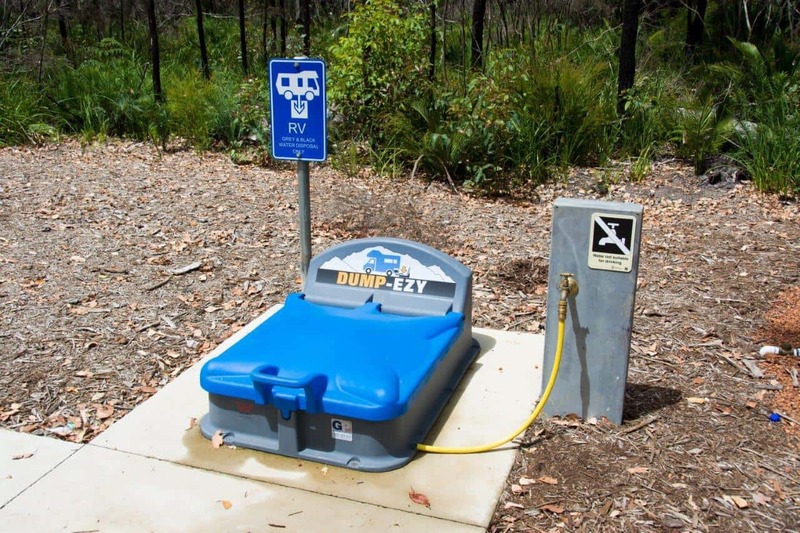 There are plenty of unisex toilet blocks around the place, all using the newer ozzy bush loo’s, which are great for the environment, and don’t smell. They are all brand new, and finished to an extremely high level of quality. There are a number of camp kitchens around the place too, with stainless steel benches, gas BBQ’s, and plenty of room to spread out. 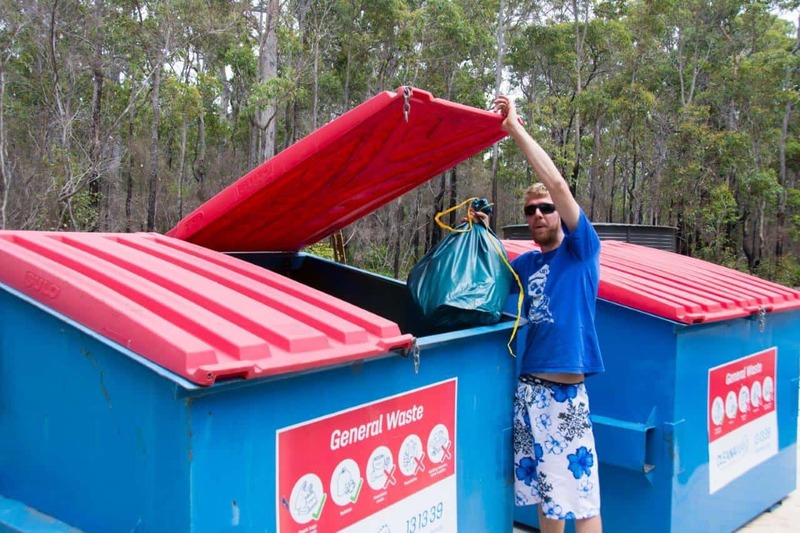 There is a dump point, and rubbish bins at the entrance to Jarrahdene. 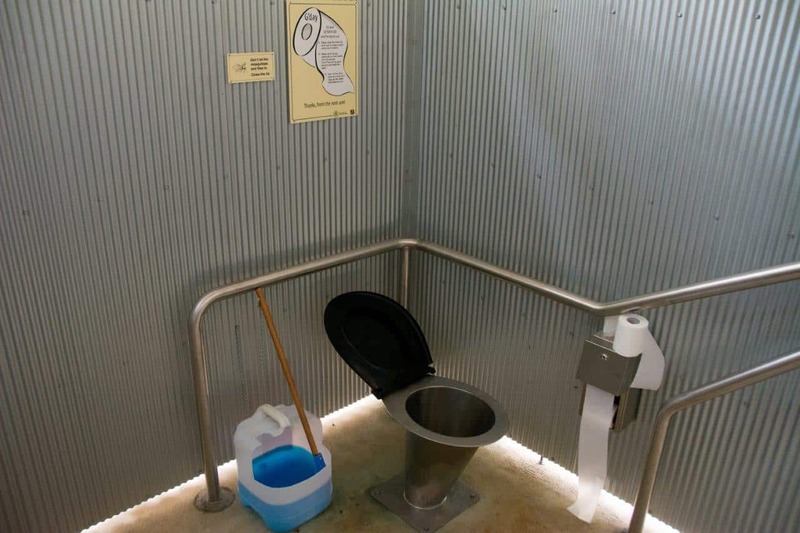 The DPAW have done an awesome job with the toilets and camp kitchens; it really looks professional and built well. 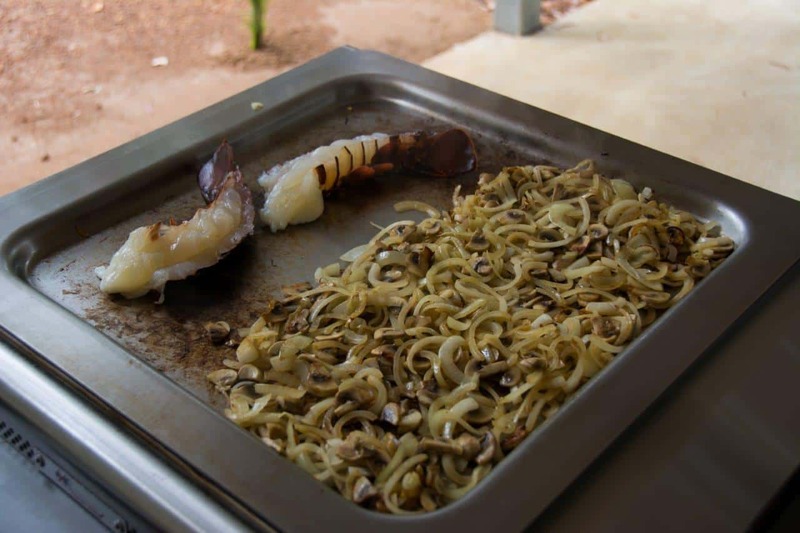 Making use of the BBQ’s with a fresh crayfish and some mushrooms/onions! You’ll pay $11 per adult per night, $7 per concession and $3 per child in between 5 and 16. Considering most DPAW sites are $10 these days its pretty reasonable. 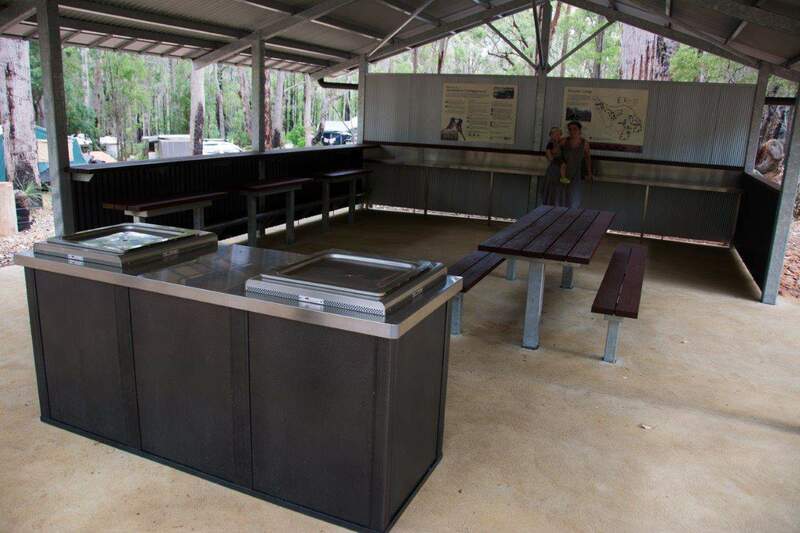 All bookings of camp sites at Jarrahdene are done online, at the DPAW website. 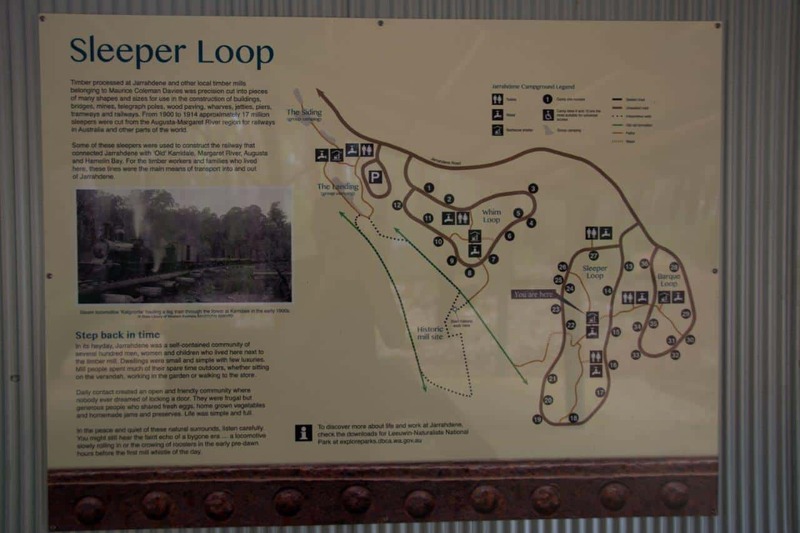 You can find it here – Jarrahdene DPAW Booking Online. Online booking is working well so far, and is being rolled out across many DPAW sites. It’s not perfect, and things don’t always go to plan; we arrived at 9:30PM to find someone had set up camp in one of our sites. We kindly asked them to move along, but obviously the message is being missed by some! Like most DPAW sites, dogs are not permitted. You’ll have to leave it home with a dogsitter, or book it in at a kennel. I love the south west. There is something for everyone, and you’ll never run out of things to do. If you are into food (who isn’t?! ), you’ll love the amazing selections of natural produce including world class wineries, fudge and chocolate factories, cheese factories, bakeries, coffee and more. For the nature lovers, there’s more wildlife, incredible forests and brilliant beaches than you’ll ever get sick of seeing, along with stunning natural caves, rocky coastline like no other and picture perfect scenes everywhere you look. 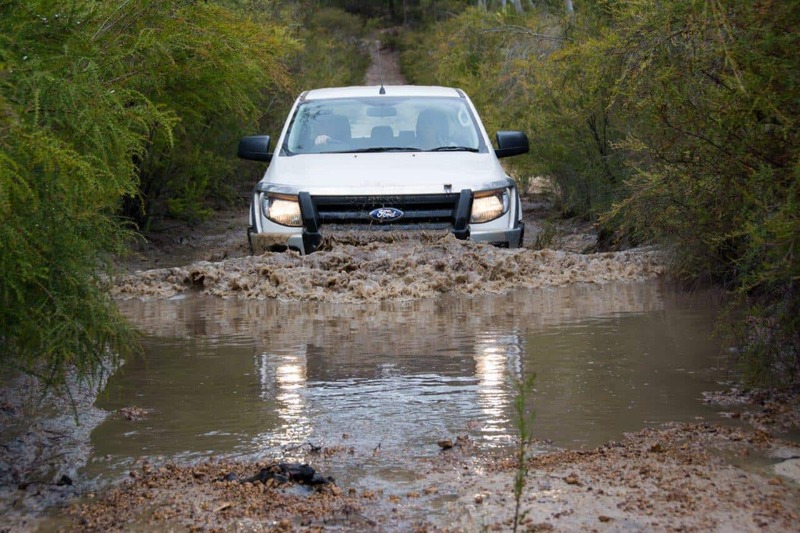 Beyond that, there’s amazing 4WD tracks around Margaret River, great fishing and diving, world class surfing and plenty of history to see. Book a trip to the South West! Who’s stayed at Jarrahdene before? What did you think of it? If you haven’t been to the south west for a while, book a trip away; you’ll love it. If you know someone who might love this camp site, share the love! 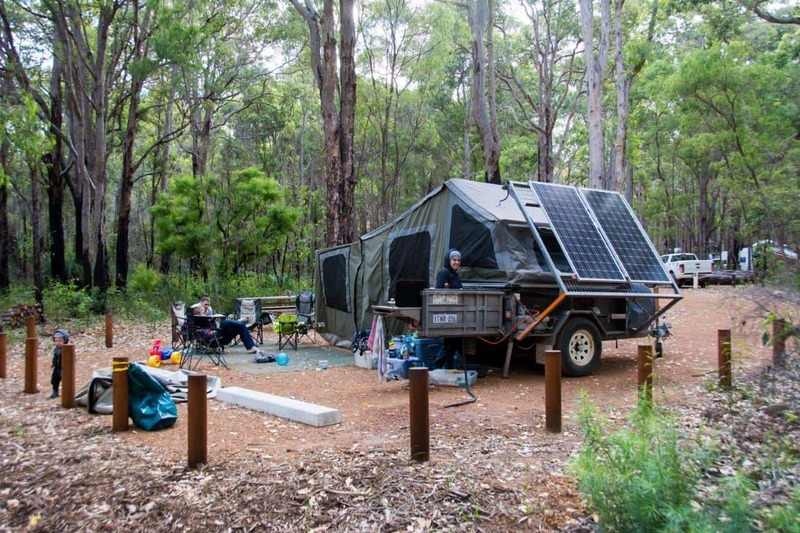 This looks great, we usually stay at Contos or Boranup campsites but will try Jarrahdene next time. DPAW does a fantastic job of constructing and maintaining these sites. It is absolutely fantastic, and in an awesome area too. Really, really pleased with it. You’ll love it! Great to hear – fantastic spot. As far as I know, they are allowed. It’s unfortunate for those who don’t use them, but that’s life.